What is it to be as random as a thought? To trapeze your way around them. The book explores the many themes of life, love, lust, friendship, feminism. It speaks in borrowed voices. It employs some shocking vocabulary that renders the rational reader speechless. This book is a journey of a different kind. One moment you are admiring the blue sky packed wonderfully inside the windows of a moving train and the other you are free falling into a pile of death, destruction and nothingness. The geography of this collection is as unpredictable as a human, its mood as random as a weekend. 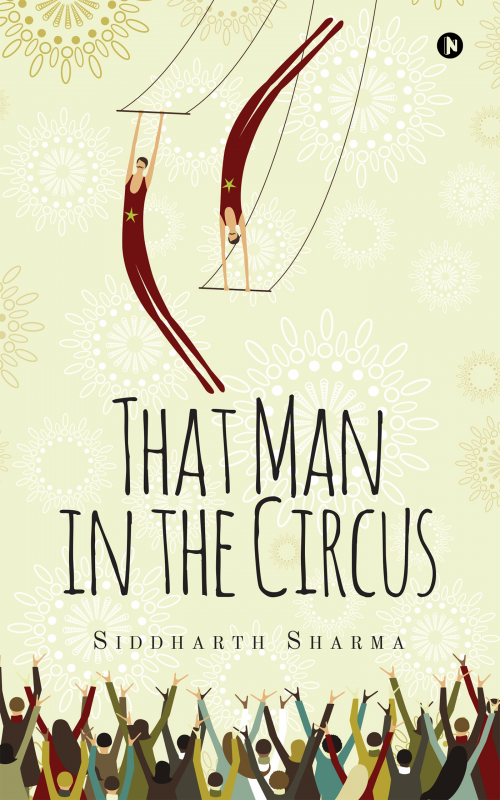 It is the story of that man in the circus. The author is a literature lover, an observer of life’s many human problems. He believes that the true history of any period is reflected in the works of writers and poets of that time. He believes in the strength of words, how they inspire action and likes to kill time in the company of the feminine.